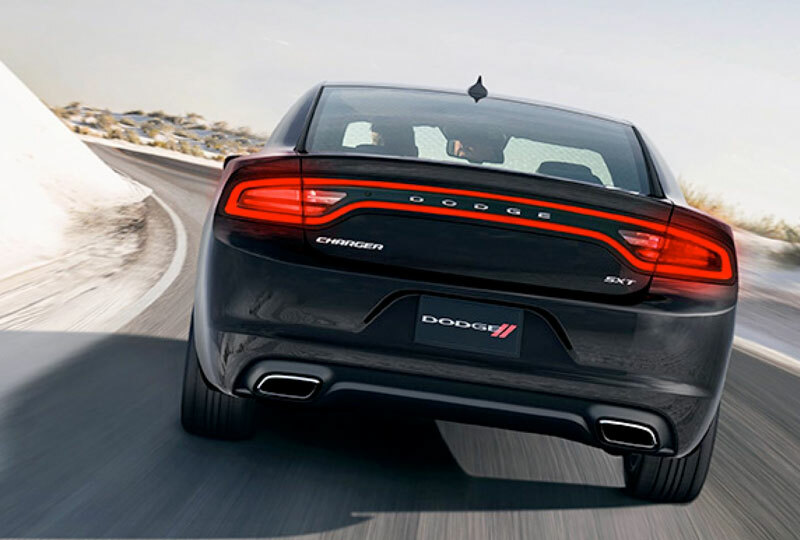 The 2018 Dodge Charger from Briggs Chrysler Dodge Jeep Ram in Fort Scott, KS, Serving Olathe and Kansas City, has unique style and exciting driving potential. The double power-bulge hood is an indication of great strength within. Side door scalloping is a special design feature that communicates this car's need for attention. Any attention is well-deserved, thanks to a full-line of powerful engines. Choose from four options, including your standard 3.6L Pentastar V6 or the daring 6.2L HEMI SRT Hellcat V8 with 707 horsepower. Your cozy interior begins with cloth or leather seating and ends with modern technology designed to delight your senses. The available Uconnect system includes Bluetooth connectivity with voice commands, streaming audio, and more. The available Dodge Performance Pages system displays all the stats you need to keep track of your driving capability. The time to buy a new Dodge is now. We have a great selection of 2018 models and unbelievable deals. Call us at 888-325-7339 to schedule your test drive, or stop by the dealership located at 1819 S Main Street, Fort Scott, KS. We can't wait to send you home in the new 2018 Dodge Charger you've always wanted! 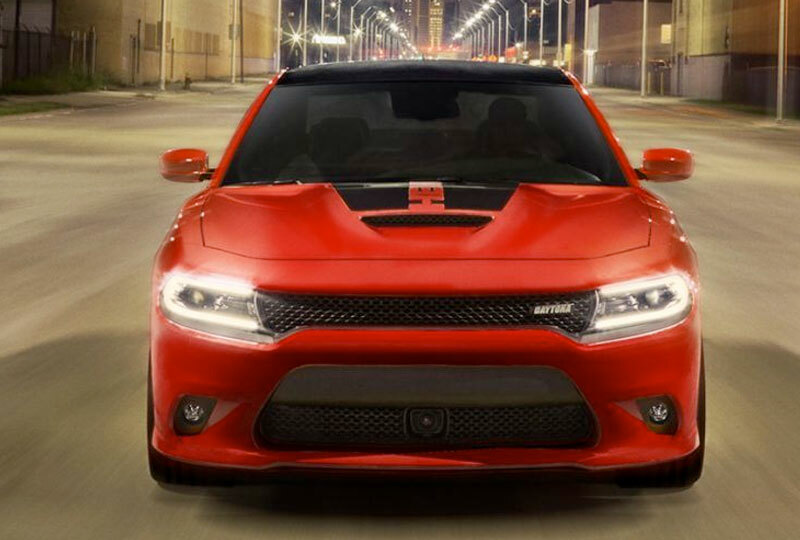 The iconic design, scalloped bodysides and imposing crosshair grille give the Dodge Charger a sleek, chiseled and aggressive look. This one's a game changer. 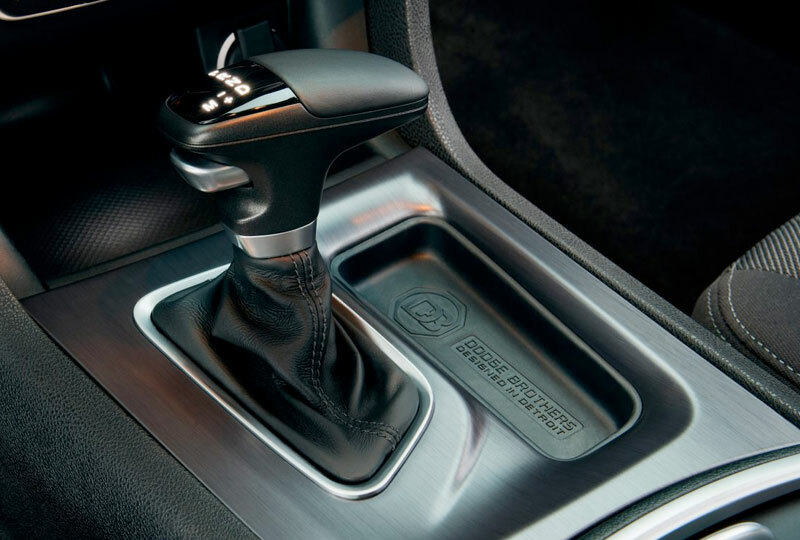 The state-of-the-art TorqueFlite® eight-speed automatic transmission delivers world-class precision and fuel efficiency12 along with available Sport Mode and available paddle shifters. We'll watch your back. 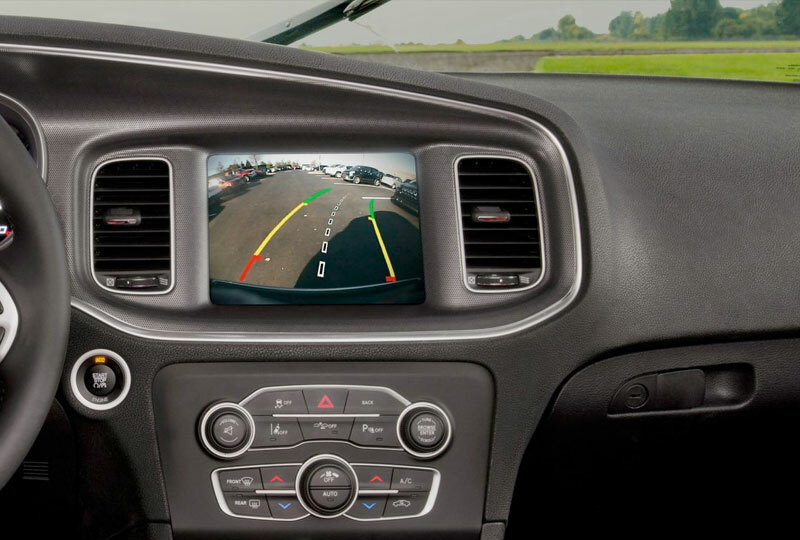 The standard ParkView® Rear Back Up Camera11 displays the area behind your vehicle when you shift into reverse. The standard ParkSense® Rear Park Assist System11 alerts you of objects behind your vehicle when you're moving in reverse. Available Sport Mode sets the engine, transmission and steering systems to their Sport settings, providing improved throttle response and modified shifting for an enhanced driving experience. 11. Always check entire surroundings visually before backing up. 12. Based on Manufacturer estimated 19 city / 30 hwy mpg with 3.6L engine and eight-speed automatic transmission, RWD; 16 city / 25 hwy mpg with 5.7L engine and eight-speed automatic transmission, RWD; 15 city / 25 hwy mpg with 6.4L engine and eight-speed automatic transmission, RWD; 13 city / 22 hwy mpg with 6.2L engine and eight speed automatic transmission, RWD. Actual mileage may vary. 15. Always check entire surroundings visually before proceeding. 16. Always look before proceeding. An electronic drive aid is not a substitute for conscientious driving. Always be aware of your surroundings. 17. SiriusXM audio and data services each require a subscription sold separately, or as a package, by Sirius XM Radio Inc. Your SiriusXM service will automatically stop at the end of your trial unless you decide to subscribe. If you decide to continue service after your trial, the subscription plan you choose will automatically renew thereafter and you will be charged according to your chosen payment method at then-current rates. Fees and taxes apply. To cancel you must call SiriusXM at 1-866-635-2349. See SiriusXM Customer Agreement for complete terms at www.siriusxm.com. All fees and programming subject to change. Not all vehicles or devices are capable of receiving all services offered by SiriusXM. Current information and features may not be available in all locations, or on all receivers. 21. All SiriusXM Guardian™-equipped vehicles come with a 12-month trial effective on the date of purchase or lease of a new vehicle. Enrollment in the trial is required to receive service. Upon expiration of the trial period, purchase of a subscription is required to continue SiriusXM Guardian. SiriusXM Guardian is available only on equipped vehicles purchased within the United States and Puerto Rico. Services can only be used where cellular coverage is available. See Uconnect® and SiriusXM Guardian Terms of Service for complete service limitations. 22. Requires compatible smartphone running Android™ 5.0 Lollipop or higher and download app on Google Play. Android, Android Auto and Google Play are trademarks of Google Inc.